They make things cheaper, faster, safer, more integrated and more effective. You probably already know that engineering is one of the most well-paid and secure of all professions. It's also one of the most exciting! We should know – we've been educating professional engineers for over 100 years. Gaining a degree in electrical and electronic engineering opens up a broad range of career opportunities. Electrical and electronics engineers can find themselves working in all kinds of environments and sectors. You might work in a production plant, a workshop, an office, a laboratory, a factory or on site with a client. Engineers are involved in projects from the very start to the very end, and in maintenance programmes too. Sometimes they specialise in a particular part of the process, while on other occasions they can be involved at every stage. Electrical and electronics engineers tend to work in multi-disciplinary teams with engineers from other areas, as well as with architects, marketers, manufacturers, technicians and other professionals. Typical tasks will include analysing user needs, designing systems and components, researching solutions and estimating costs and timescales, making prototypes, designing and conducting tests, ensuring safety standards are adhered to at all times, and finally modifying, improving and maintaining products once they are in use. All of our individual course entries have specialist careers information. You can search our courses and download our Careers in Engineering Guide (PDF File 3,650 KB). 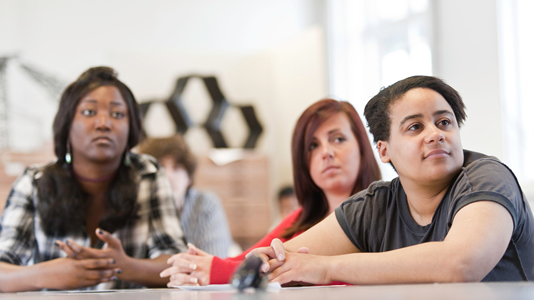 LSBU's Employability Service offers advice on how to shape your career. This complete service provides free professional information, advice and guidance while you study at LSBU and for up to two years after you graduate.